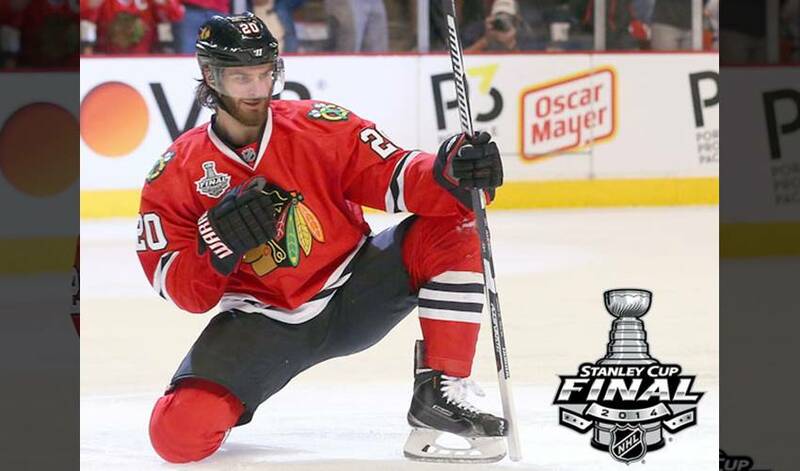 When the Chicago Blackhawks needed someone to step up big time, Brandon Saad raced to answer the call. He’s undoubtedly been the ‘Hawks most dangerous forward in the Stanley Cup Finals, using his speed and strength to wreak havoc in the offensive zone. On Wednesday night at the United Center, Saad utilized every weapon in his arsenal to deliver the game-winning goal and with it, squaring the series with the Tampa Bay Lightning at two games apiece. Saad worked his way out of the corner, stormed towards the net and fired home a five-hole shot at 6:22 of the third period. It was the last goal in a 2-1 win. The 22-year-old Pittsburgh native has ramped up his game up throughout the post-season, delivering solid production at both ends of the ice. Last night’s goal was his fourth in the past six games. His performance has hardly gone unnoticed by his teammates. “I've always said, to me the best characteristic to his game is not necessarily his flat-out skill, his skating, all the tangible parts of his game that you can see firsthand,” said Chicago captain Jonathan Toews. “I think when he came into the league, he was always pushing himself every night. He was assuming more responsibility, whether it was scoring goals or playing two-way hockey. As for his deciding tally in Game 4, of all the words he could have chose, Saad landed on an unexpected one. All delivered courtesy of the Blackhawks’ feared playoff performer.